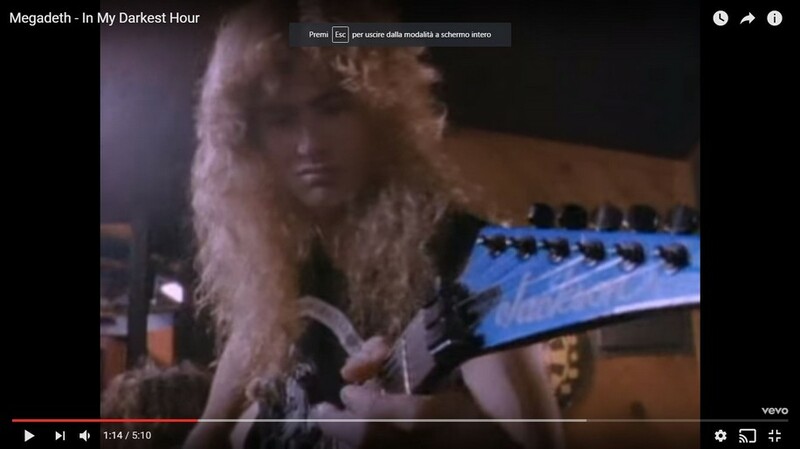 1988 - Jackson Rhoads Student "Blue"
On "In My Darkest Hour" music video Dave plays a Jackson Rhoads Student with a Kahler tremolo bridge. 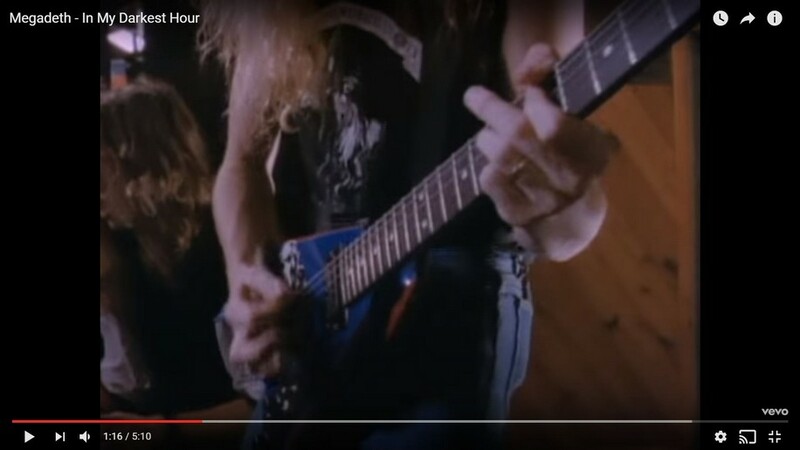 The guitar has a standard Jackson Rhoads layout but it's painted blue with a matching headstock, pink bevels and seems to have some sort of skull graphic on the body. 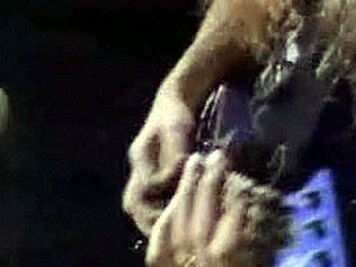 I haven't seen this guitar anywhere else but some years ago there was a Rhoads Student for sale on Ebay that was said to have been Dave's. The seller stated that it was refinished black so it might have been this guitar. If anyone has more pics or info on this RR please contact me! 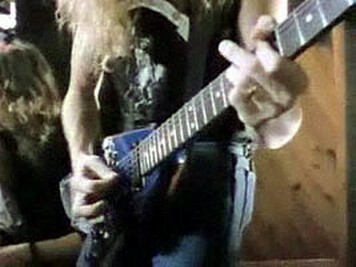 Below are two screenshots from the video.